Although pasta is good with almost any ingredient, there are rules about which pasta goes with which sauce in Italy — especially when it comes to fresh pasta (made with flour and water) and egg pasta (made with egg, flour, and water). These rules are well established in each region. You’d never put pesto on tortellini, for example, or a heavy meat sauce on a delicate noodle that can’t support the meat’s weight. And you’d never put alfredo sauce on…anything. When it comes to getting it right and doing as the Italians do, it’s paramount to pair the right pasta with the right sauce. So the next time you’re walking down the pasta aisle, remember these regional sauce pairings and prepare to see pasta in a new light. 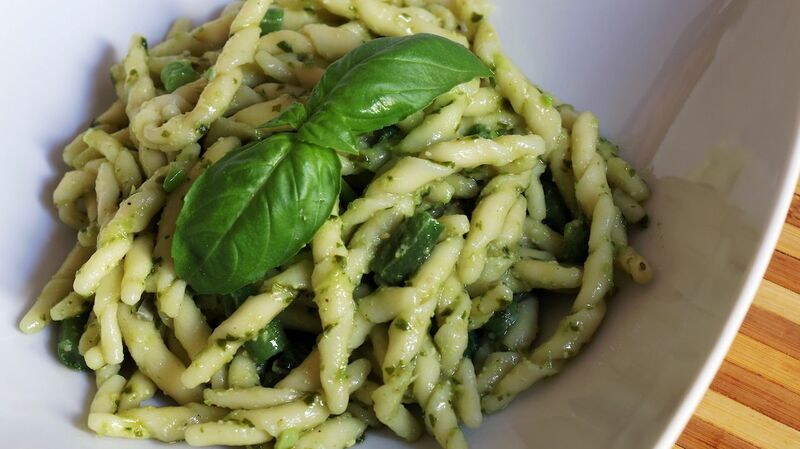 No one knows pesto like the people of Liguria. With such a simple, yet elegant, sauce — just fresh basil, pine nuts, olive oil, pecorino cheese, salt, and garlic — you really can’t go wrong. You can, however, do better than average with the right pasta pairing. Traditionally, this green sauce goes with trofie, a short and thin pasta that looks somewhat like wood shavings. 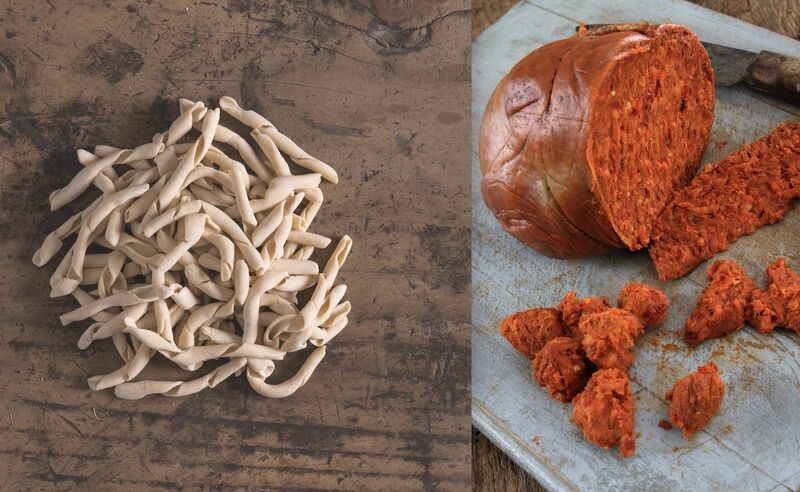 The two go together better than olive and oil. Egg pasta tortellini served in broth is a staple dish in Italian cuisine. Bologna and Modena, two of the main towns in the northern Emilia-Romagna region, are still fighting over the ownership of it. According to legend, the tortellini was inspired by Venus, the goddess of love. She was staying at an inn in Castelfranco Emilia, and immediately caught the attention of the innkeeper. He quickly became a peeping Tom and looked through the keyhole at her while she undressed. Venus’s belly button was so perfect that he paid homage to it by making a pasta in the same shape. 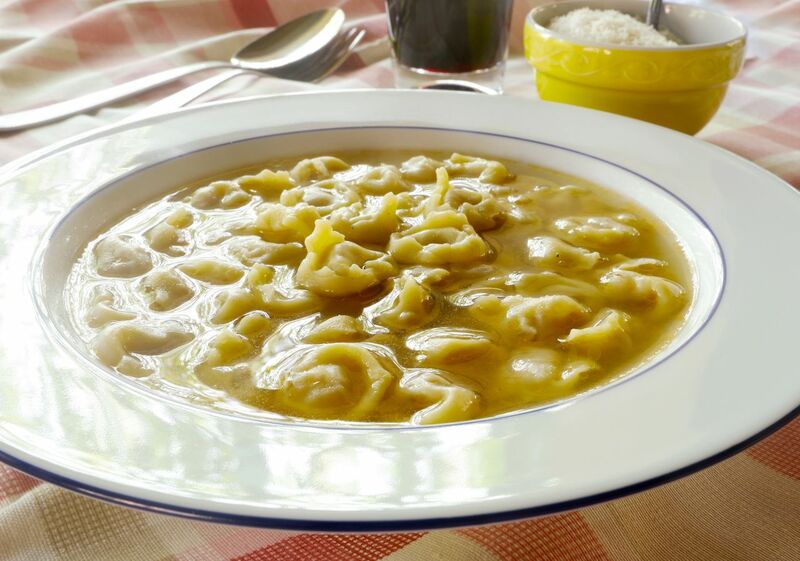 No one knows the innkeeper’s name, but the town celebrates him every year for inventing the great tortellini. Legends aside, the earliest known mention of the pasta dates to 1570. The filling generally consists of pork, smoked ham, mortadella, parmesan, eggs, salt, pepper, and nutmeg. Tortellini is a favorite during holidays, but can get pricey when purchased from the top producers in the country — so it’s worth having a go at making it yourself. 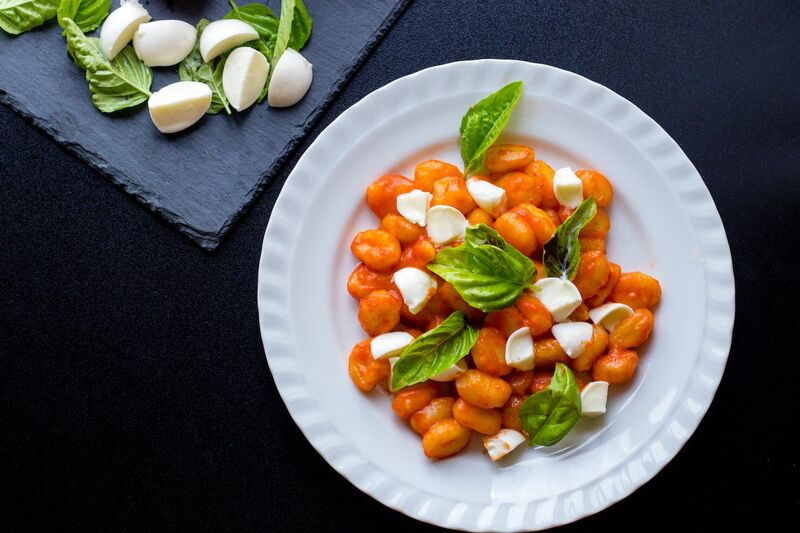 They say that gnocchi, a pasta made from potatoes, was invented when the first potatoes made it to Italy from North America. The most popular gnocchi is made with potatoes, but there’s also a lighter version made from just water and flour. As always, it depends on the region. Gnocchi alla sorrentina is the most popular recipe. It hails from Sorrento, a small town less than an hour south of Naples on the coast of Campania. These nuggets of goodness are made with potatoes, flour, eggs, and salt, and the sauce is made from tomato pulp, basil, garlic, extra virgin olive oil, and salt. The gnocchi are covered with the sauce, mozzarella, and parmesan, and then put in the oven. What comes out is a creamy and cheesy mess under a semi-crunchy surface. It’s the kind of mess you’ll want to make again and again. Pappardelle is a long, flat egg pasta that’s similar to tagliatelle but a little wider. Ideally, each one is 13 millimeters wide and has a rough surface to stop the sauce from slipping off. The sauce that goes with it is normally made from wild boar or hare. Don’t feel left out if you’re vegan, though. You can also order pappardelle with a mushroom sauce. Calabria’s food is full of spice, and the dishes are sharp and savory. The traditional pasta for this southern region is called fileja, 5 centimeter long pieces of pasta that are rolled and dried. The sauce pairing is a tomato sauce made with ‘nduja which is a spicy pork salami made with lower-grade cuts of meat, peppers, and spices. 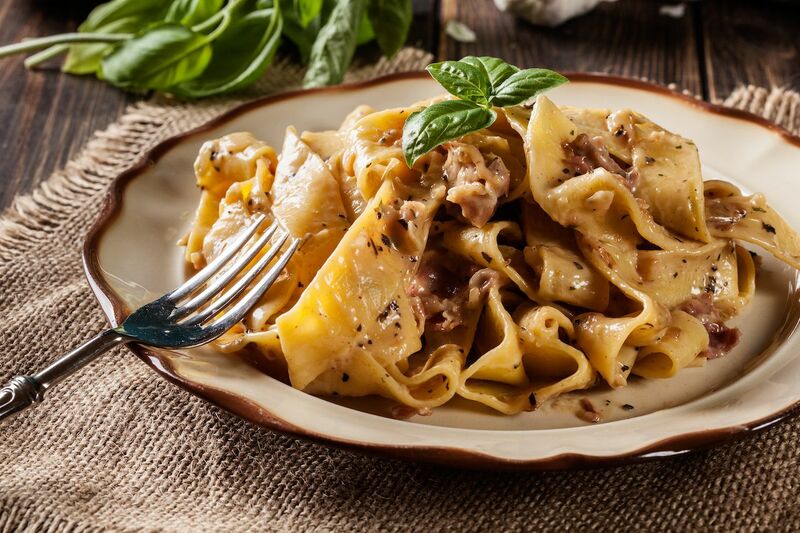 Emilia-Romagna is the foodie heart of Italy, so it’s no surprise that there are multiple iconic dishes in the region. 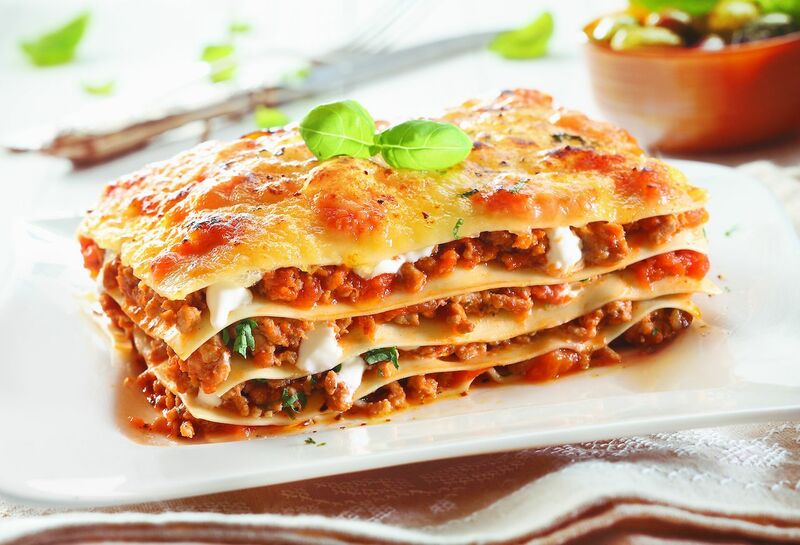 Lasagna is beloved around the world, thanks in part to an orange cartoon cat, but also because it’s a delicious, easy, juicy first course that pleases everybody, from grandmas to grandchildren. The classic sauce for lasagna is ragù alla bolognese, which is made with ground pork and beef, tomatoes, onions, and carrots. The egg pasta is laid down in layers, and each layer is spread with ragù sauce, béchamel (a white milk-based sauce), and parmesan.